The archives at Heritage Quay offer a unique opportunity for students from KS1-3 to find out more about the history on their doorstep and how it reflects and connects with historical events and issues nationally or even internationally. With links right across the curriculum, you’re bound to find something in our collections that will engage your students’ interest. Our collections contain artefacts as well as documents, enabling students to get hands on with history, and our archivists are always on hand to help with research. Items from our collections can provide starting points for local history studies where your KS1 pupils can find out about significant figures such as Susannah Sunderland or Victor Grayson, through interactive workshops and arts activities. 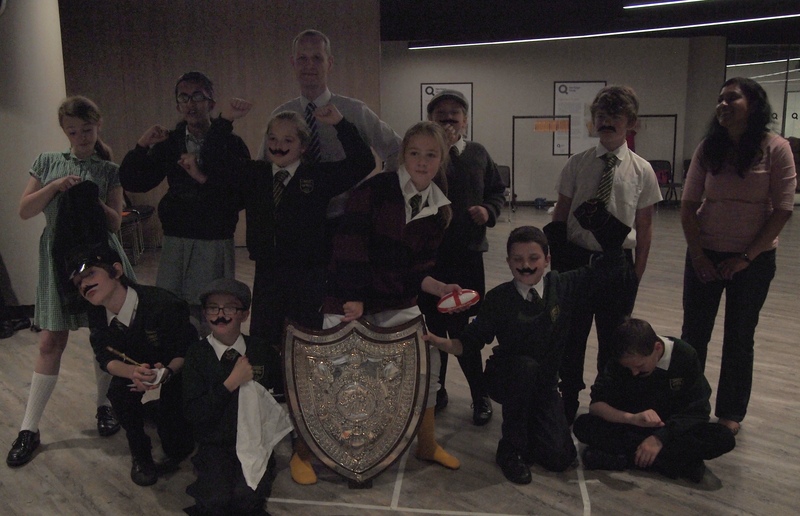 In KS2, they can discover how the industrial revolution led to the growth of Huddersfield town as well as the development of the university, handling original documents and taking a tour of the university’s oldest building. Or find out about Huddersfield’s pivotal role in the development of Rugby League. At KS3, students can study Indian independence and the end of Empire through the Whitley collection, the changing face of political power from 1885 as reflected in the Robert Blatchford papers or investigate technological and social change since 1901 through local industries such as Hopkinsons and Holset. Pupils from all key stages could even forget history altogether (!) and dive into the British Music Collection, which contains scores and recordings of 20th and 21st century British composers – both published and unpublished. Why not try your hand at performing one of the experimental graphic scores produced especially for schools during the 1960s using balloons as the main instrument? If acting is more your style, be inspired by our collections from the Lawrence Batley theatre, or bring to life one of the plays by the waterways theatre group Mikron. If you prefer a ready-made activity, with the curriculum links all mapped out for you, then why not book one of our schools workshops. Take a look at our flyer for more details and how to book. If you have any questions about how the archives can help you in your teaching, whatever your year group or subject, then please get in touch with our Schools Learning and Engagement Officer, Trizia Wells on 01484 473168 or email T.Wells@hud.ac.uk. Or why not come along to our free teatime taster session on 9th June!